Flexible lease terms available at a newly refurbished ‘plug and play’ office, located moments from Old Street Station. These stylish 1,541 – 6,806 sq. ft. office suites are located within this attractive warehouse building. The landlord has undertaken a full refurbishment to provide bright media style accommodation incorporating new timber flooring, comfort cooling, raised floors, a kitchenette and demised WCs. 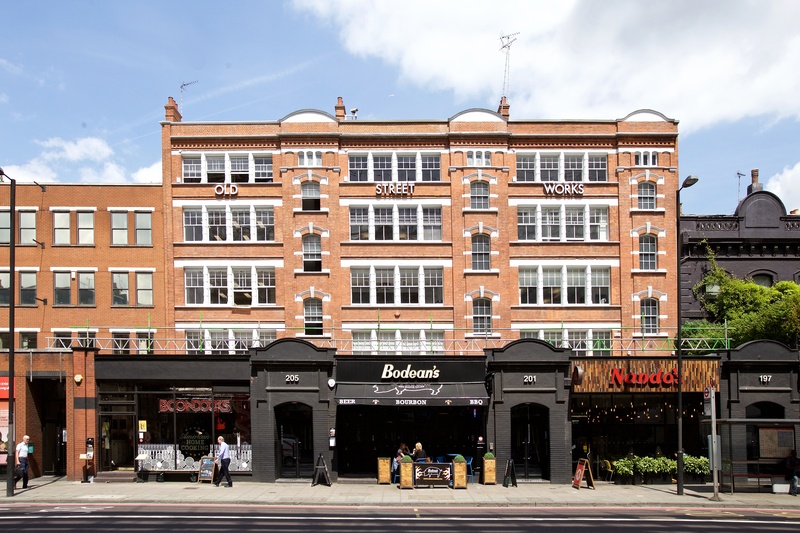 Available for immediate occupation, Old Street Works is located just North West from Old Street Station moments from the vibrant Shoreditch Triangle. Old Street Roundabout is home to vast variety of tech and media occupiers within TMT office developments including The Bower and The White Collar Factory. The location is home to a diverse range of restaurants, cafes and bars including Ceviche, Shoreditch Grind, The Tramshed, Honest Burger and Bone Daddies all within the immediate area. For further information or to arrange an inspection, please contact the Office Agency team on 020 7336 1313!